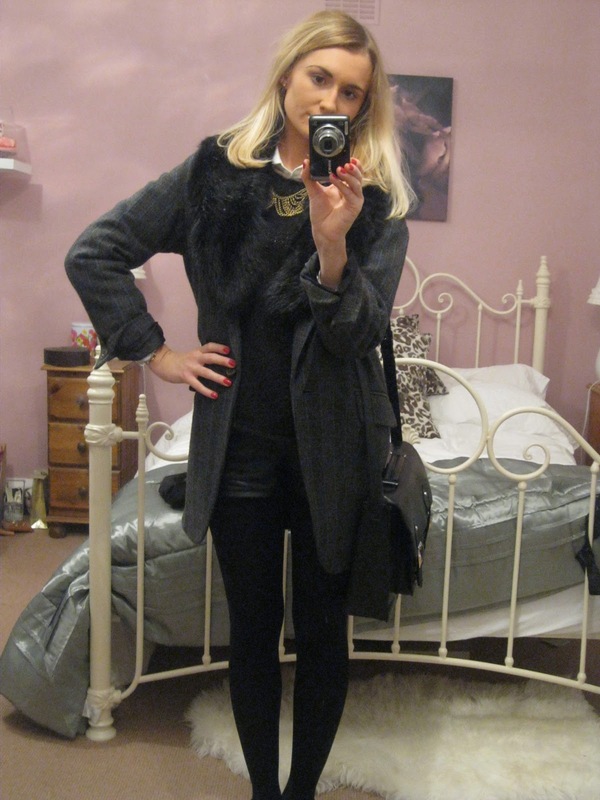 Fur Collars are a must for the colder seasons. Aside from the obvious (warmth!) they can really add something to a plain blazer/jacket. This one is from H and M and also comes in blonde and burgundy shades-I wanted to buy them all. I am wearing mine with an oversized vintage-style blazer from New Look which I got in the sale last year. 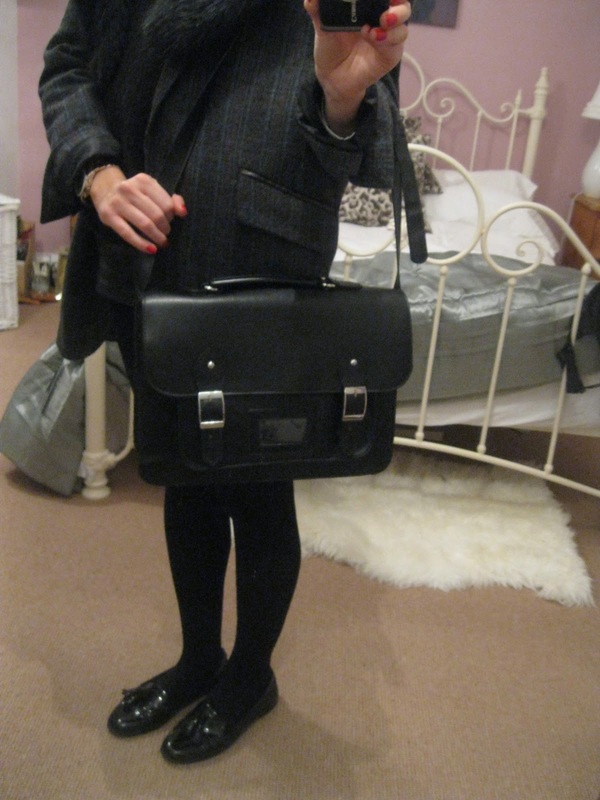 I love monochrome colours for the winter and shades of dark grey and black are so versatile. I am still loving the collar necklace trend, this one is an Asos piece, as well as the jumper and collar look (see older **POST** ). My shorts are a leather pair from Topshop; leather bottoms are everywhere! Everthing is good looking. the black coat is in a special type. if you love this style Womens Sheepskin Leather Down Coat you can visit http://www.cwmalls.com.